Our company has been honored as a Trustworthy Company in 2014 and 2015 years. The company’s trusted certificate is awarded to companies that can boast that they have no negative feedback from its clients and business partners. The certification process is based on a modern method which allows to define the so-called. Pointer views through innovative information technologies. Throughout the Czech Republic and Slovakia for orders over 3000 CZK /111 EUR. 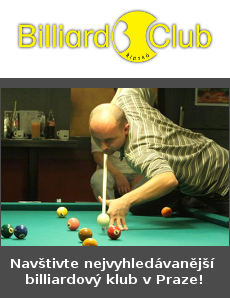 Shopping place of billiard accessories in the premises of the club Billiard Club Ripska, Ripska 24, Prague 3 open daily – 7 days a week from 12 to 23 hours. Possibility to order goods directly through e-shop (choose personal collection) and check at the store before you decide to purchase. Delivery times to the store the next day, including weekends. We offer top quality products of world’s most prestigious brands. Brands that present and offer for sale are well known and used for more than 20 years in our billiard club.Do not settle for imitation and buy quality. Orders received in the evening are dispatching immediately the next day. Your order will be filled immediately on the day of purchase, no later than the next day. If even this speed is not enough, we always find a way to help quickly and securely deliver the order. We offer the possibility to arrange any possible kind of delivery of goods tailored. Are you the owner of a wholesale network ? Are you the owner of a small shop with billiard accessories ? Are you a producer of billiard tables? Are you a service technician ? If you belong to this group of tarders we offer you a mutually beneficial, serious and long-term cooperation. 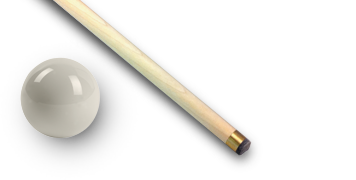 We will share with you our more than 20 years of experience in the billiard sport with the offered products. Ask us anything you are interested in the offered range on the online web chat, e-mail or by phone a day, 7 days a week from 9 to 22 hours.